Nearly 85 percent of the world’s countries lack adequate laws to counter the growing rates of traffic-related deaths and injuries. As a result, an estimated 1.3 million deaths and 20 to 50 million injuries occur every year, with 90 percent of these fatalities occurring in low- and middle-income countries. This makes addressing Road Safety concerns, the need of the hour. This was the motivation behind Bloomberg Philanthropies hosted Global Road Safety Conference which brought together 150 road safety experts from 17 countries and took place in Mumbai, India. The event saw experts discuss one of the world’s leading causes of preventable death – traffic related deaths and injuries. The Mumbai Traffic Police joined hands with Bloomberg Philanthropies Global Road Safety Initiative to produce a report as a preliminary step in enhancing road crash data monitoring in Mumbai. This preliminary report presents a comprehensive analysis of the Mumbai Traffic Police’s crash fatality data over the 2015-2016 period. For the first time, Mumbai is releasing a comprehensive report on road safety outcomes. This is a detailed, publicly accessible data now available to all road safety stakeholders to assist them with planning. The report highlights the high proportion of deaths among vulnerable road users: 52% of deaths are in pedestrians, and another 32% are in motorcycle riders. Young men are at particularly high risk; but the elderly are also at high risk, especially as pedestrians. 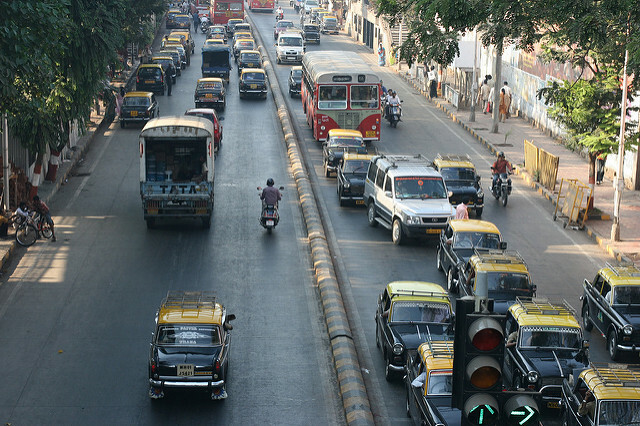 Click here to Download “Road Safety in Mumbai City” Report. The Report also has maps showing hotspots are now available for targeting high risk intersections and corridors.